Invited Talk: AI Ethics – The Basics: What? Why? How? Popular culture often directs our attention to a future with evil robots and AI that ends the world. But AI systems are already part of our everyday lives and they bring plenty of ethical questions with them. 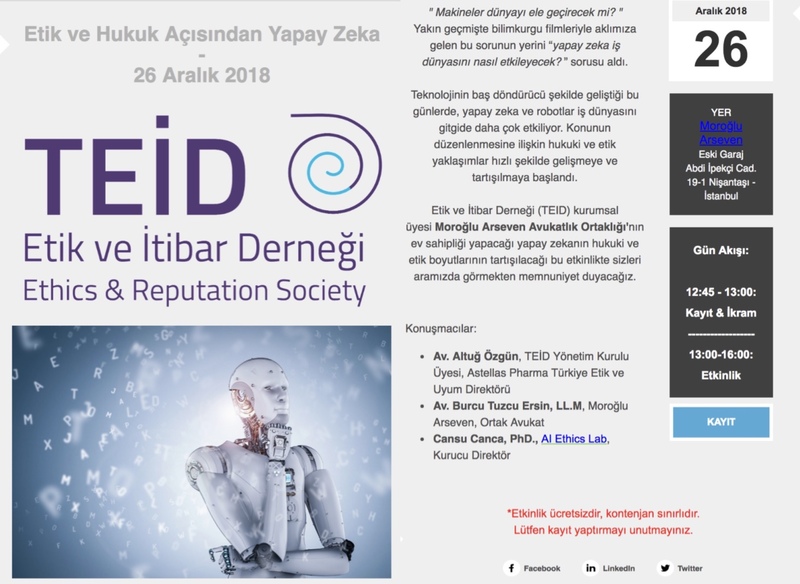 In this talk, organized by Turkish Ethics and Reputation Society (TEID), Cansu Canca (AI Ethics Lab) and Burcu Tuzcu Esin (Moroglu Arseven) will explore the ethical and legal questions in relation to AI systems that we face here and now.